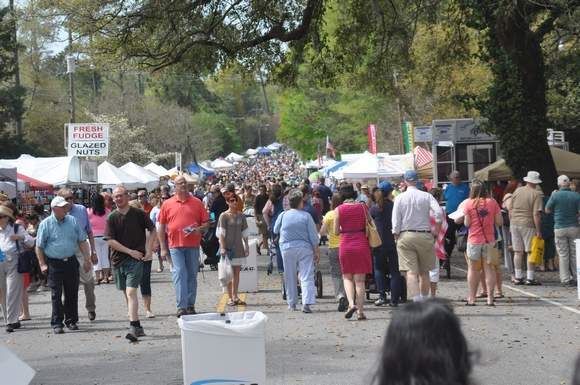 I recently went to a street fair in Summerville, South Carolina, and amused myself by taking pictures of people and signs. 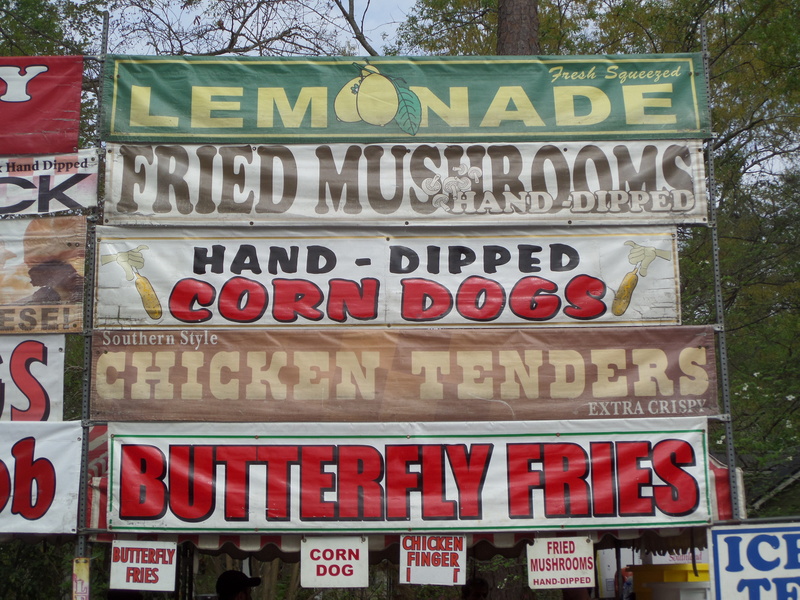 Street-fair snacks: hand-dipped fried mushrooms and hand-dipped corn dogs, among other things. Hmmm. It got me wondering about hyphen use again. Which of these drinks is listed correctly? Should it be fresh squeezed lemonade or should it be freshly squeezed lemonade? And do either of these need a hyphen? The answers to these questions have to do with adjectives and adverbs. Adjectives modify or describe nouns. Multiple-word descriptors before a noun require a hyphen to clarify meaning. Adverbs with -ly endings modify verbs and do not get hyphens. But now, here come the adverbs. Adverbs do not follow the same add-a-hyphen rule, primarily because the adverb makes the meaning of the phrase clear without any help from a hyphen, thank you very much. The juice has recently been squeezed from the oranges. Freshly modifies squeezed (past participle), telling us when the juice was squeezed. But wait, in this next example, fresh modifies orange juice, a noun, making its use okay as well. In this case, fresh modifies orange juice (fresh orange juice) making its use without a hyphen okay. It is fresh juice, and it is squeezed juice. A comma makes it clearer. Here are examples of -ly adverbs correctly written without a hyphen. Now, just to confuse things, you use hyphens with some adverbs, (much-deserved vacation, well-known author), but I’ll write more about this in another post. If you want to read more about orange juice, you can read this article: Freshly Squeezed: The Truth about Orange Juice in Boxes. And you might want to try this recipe for Fresh Squeezed Lemonade. 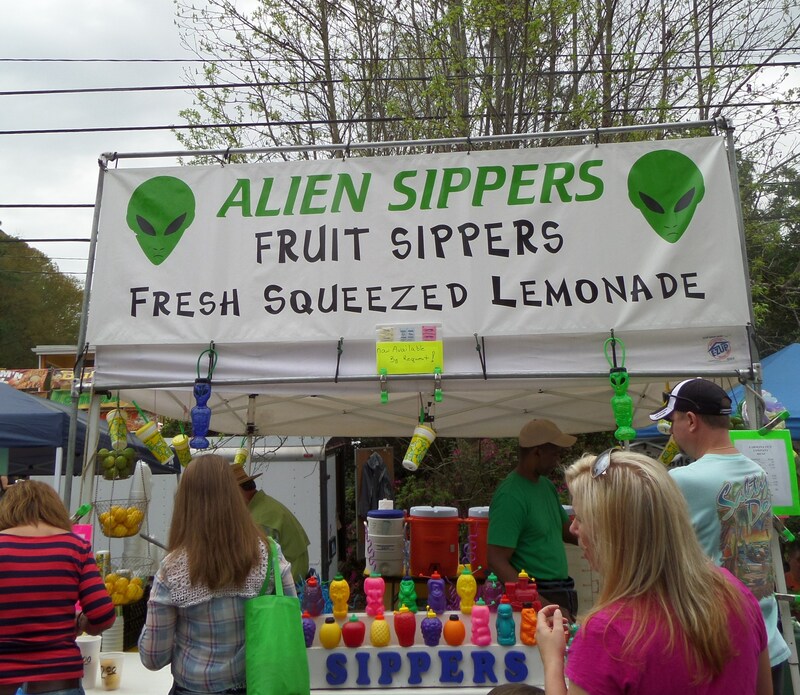 Space invaders would probably get all of these hyphens mixed up, but wait, they can try the Alien Sippers: fresh lemonade that happens to be from squeezed lemons. 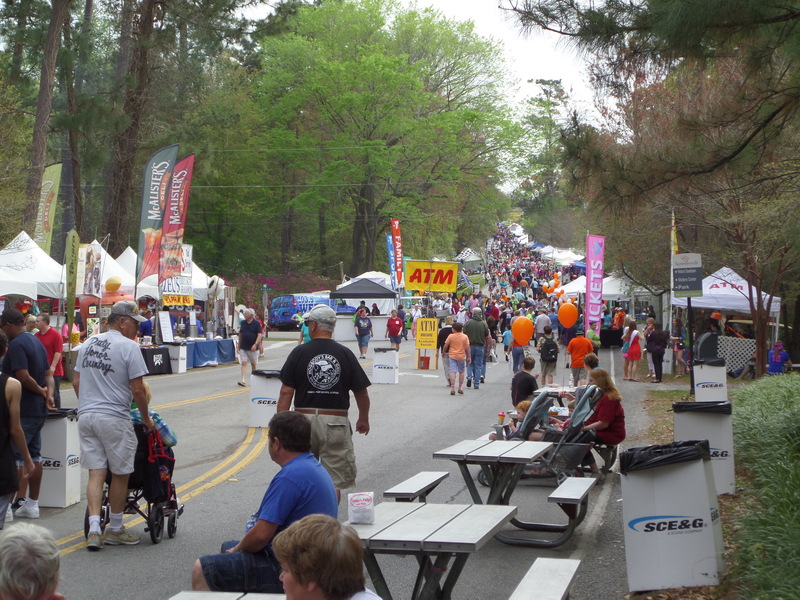 But who worries about hyphens on a hot day at a street fair while drinking cool lemonade or orange juice. Well, me. Obviously. Janice Hall Heck is a retired educator, blogger, wannabe photographer, and now nitpicky editor of On the Horizon, a bi-monthly community newsletter for Horizons at Woods Landing, Mays Landing, NJ. 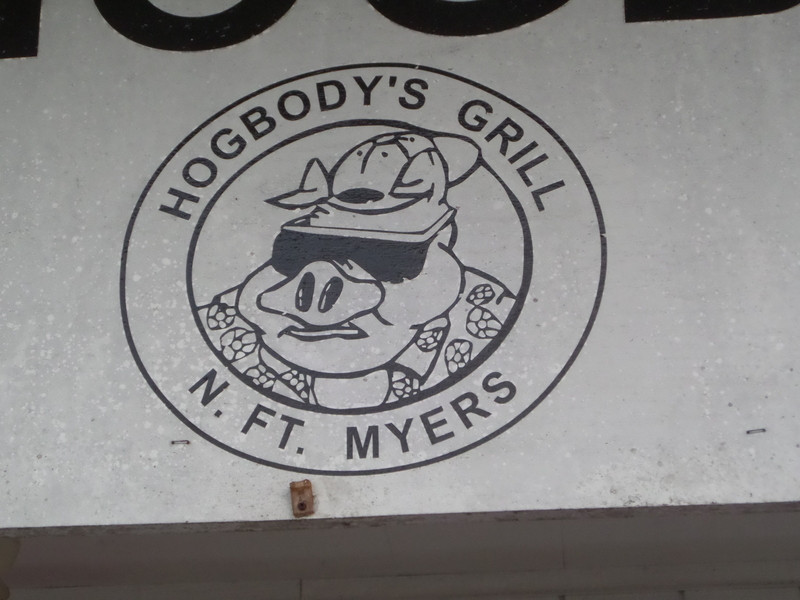 On Monday night, we celebrated (okay, we didn’t celebrate, we mourned) the end of our second snowbird stay in Florida by having dinner at Hogbody’s Bar and Grill in North Fort Myers, Florida. As you might guess, Hogbody’s is not an elegant restaurant. 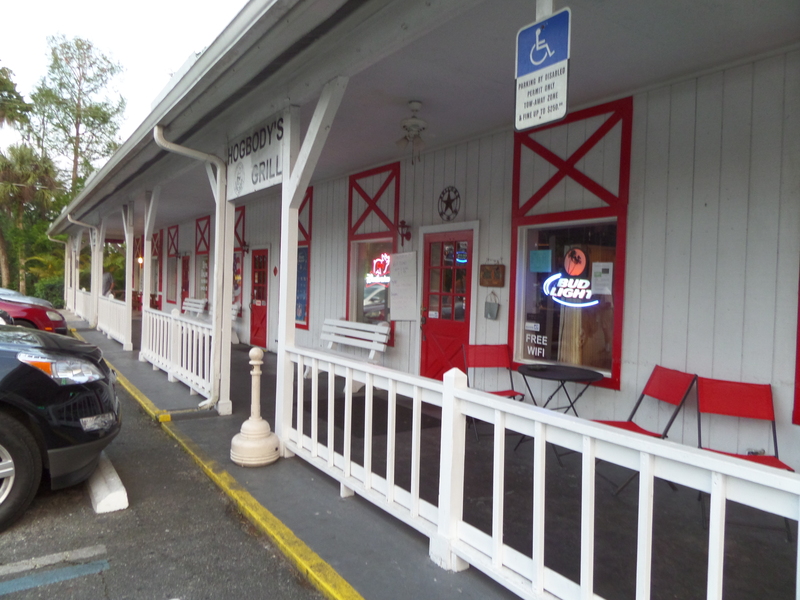 Rather, it has, shall we say, a somewhat western look with red and white siding, a weathered-white porch, white wooden benches and red folding chairs for waiting guests, and rails for tying up your horses. And for more fun, right next door is the Horsin’ Around Deli. Of course, we all know that a fancy setting is not necessary for eating good barbecue. Some of the best barbecue joints are tin shacks down in the deep South or smoky pavilions alongside a country road. 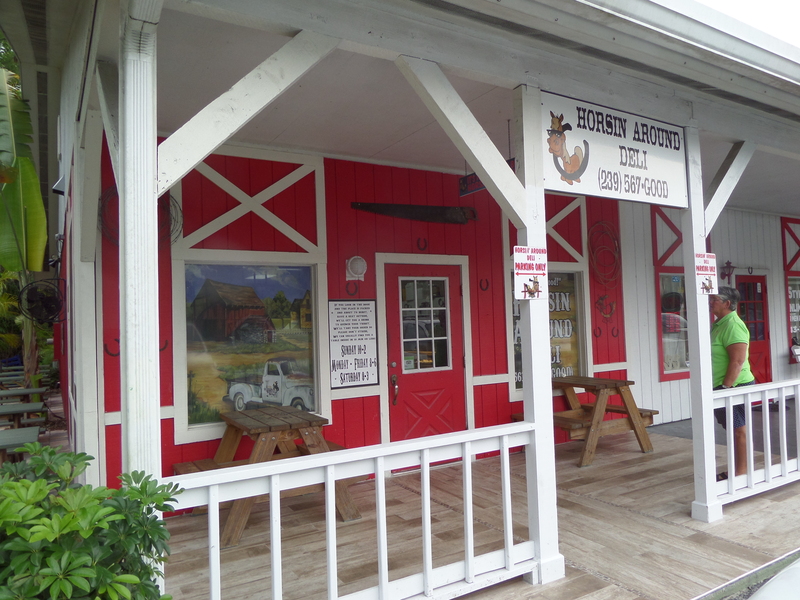 All the tomfoolery at Hogbody’s got me thinking about all the variations in spelling of barbecue: BarBQue, Bar-B-Q, Barbeque, bar-be-cue, barbeque, Barbq, or just Barbie. And don’t forget the abbreviations of barbecue: BBQ, B-B-Q, bbg, and Bbq. It probably has a many spelling variations as Albuquerque! Despite all these differences in spelling, the official, correct spelling is barbecue. But who cares? Regardless of whether you use the most popular variation (BBQ) or the official correct spelling, barbecue is just finger-lickin’ good. Just for fun, I had to try the buffalo chips and the fried dill pickles. Buffalo chips? Yes. Deep-fried slices of baked potatoes smothered in melted cheese. Oh my, the calories, but oh, so good. 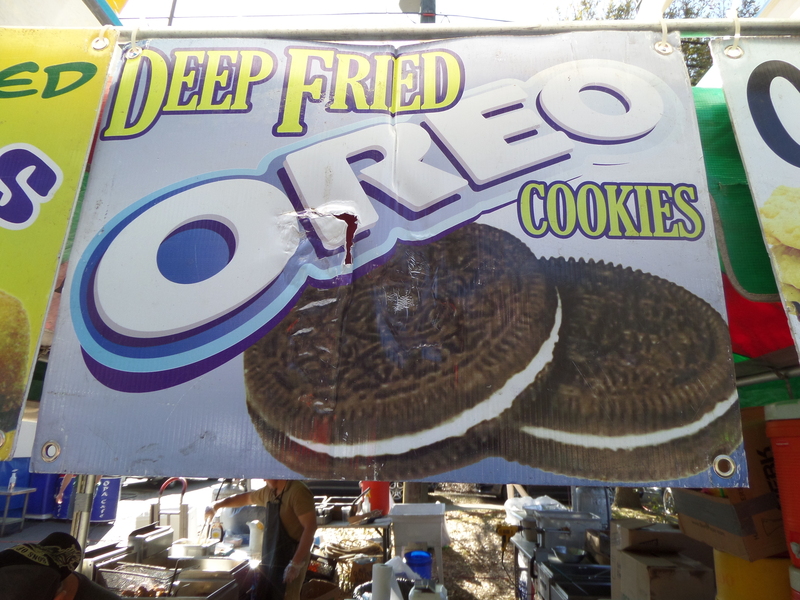 Of course you could also try sweet corn fritters, fried okra, and fried green tomatoes along with your rack of ribs. A veritable country feast! By the way, if you want to have some good country fun, check out Hogbody’s Annual Wing Eating Contest and Lawnmower Tug-o-war Contest in mid-September. What could be more fun than that? And remember to get your Hogbody’s T-shirt. My husband loves his. It’s real uptown. Oh, and don’t forget the correct spelling of barbecue. Hogbody’s knows both how to spell it and how to cook up some mean barbecue ribs. April has been called the “cruellest month,” (T.S.Eliot) but I can’t agree with that. First of all, it is my birthday month (30 days of presents! 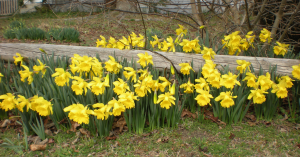 ), the month where spring actually warms up my home state (NJ), and the month where crocuses and daffodils fight the dregs of the cold winter by pushing up through the crusty ground. And every April a new A to Z Challenge comes along. Being a person who can never pass up a good challenge, I have awakened my blog from its winter doldrums to announce my participation in the 2014 A to Z Challenge. The A to Z Challenge asks participants to write 26 posts in the month of April, one for each day of the week, Sundays off. The fun is in reading all the other great blog posts written by more than 1600 bloggers in this challenge. I edit a bi-monthly community newsletter entitled On the Horizon, the official newsletter of Horizons at Woods Landing, Mays Landing, New Jersey, a 55+ community. While On the Horizon is just a little community rag, the newsletter committee endeavors to produce an error-free publication. Errors, however, being as devilish as they are, occasionally creep into our pages while we are not looking. Even so, we manage to trash the most egregious ones before the newsletter goes to press. I will pick on some of these quirky errors for this blog challenge. Can these cute little guys cause problems in writing? You betcha. NO, the blog-fame does not go to my head. It’s just sunny out. Okay? And I am NOT a spoiled brat, so there, Missy Jan!